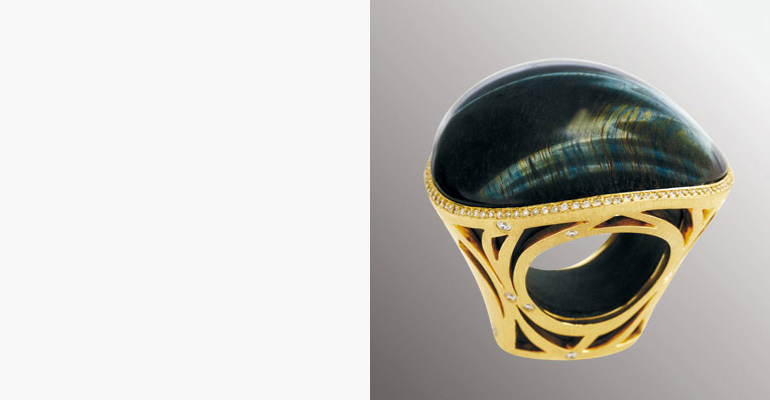 18ct white and yellow gold, drusy onyx, Mexican fire opal and black and white diamond ring. 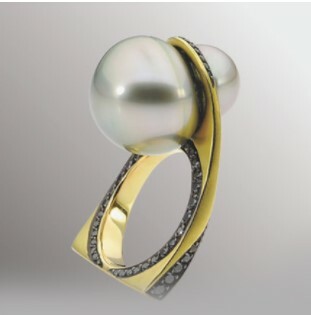 18ct yellow gold, Tahitian baroque pearl and black diamond ring. 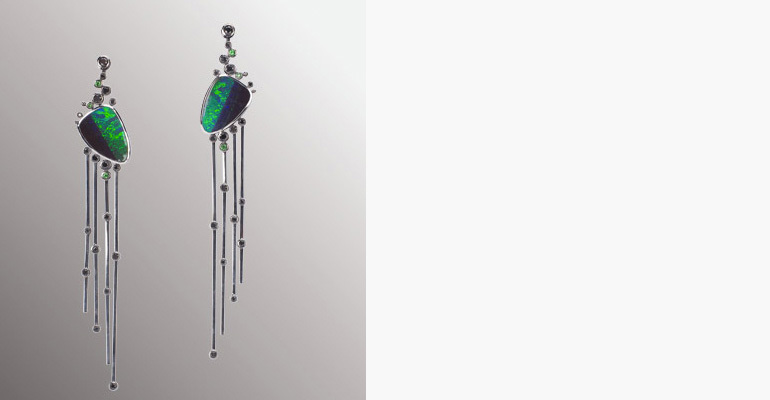 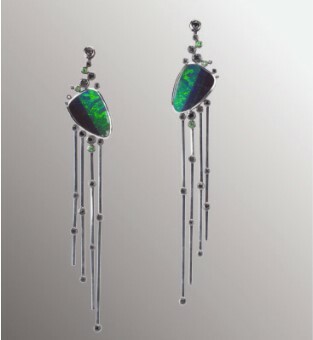 18ct white gold earrings featuring boulder opals, black round brilliant-cut diamonds and round tzavorite garnets. 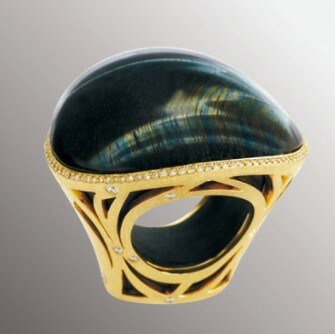 18ct yellow gold, Hawk’s eye quartz and diamond ring. 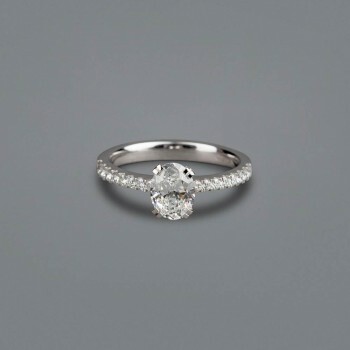 18ct white gold sculptural ring, featuring marquise shaped diamond. 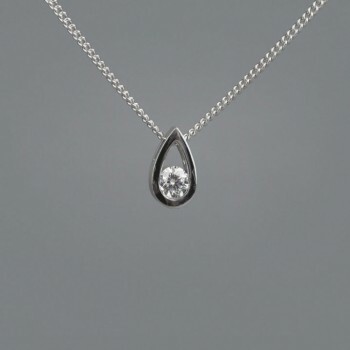 18ct white gold and titanium tension-set rough diamond ring.